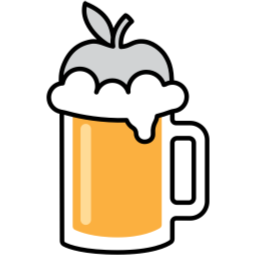 Homebrew is the easiest and most flexible way to install the UNIX tools Apple didn’t include with macOS. For the full command list, see the COMMANDS section. With --verbose or -v, many commands print extra debugging information. Note that these flags should only appear after a command. Perform a substring search of cask tokens and formula names for text. If text is surrounded with slashes, then it is interpreted as a regular expression. The search for text is extended online to homebrew/core and homebrew/cask. If no search term is given, all locally available formulae are listed. If on or off is passed, turn Homebrew’s analytics on or off respectively. If state is passed, display anonymous user behaviour analytics state. Read more at https://docs.brew.sh/Analytics. If regenerate-uuid is passed, regenerate UUID used in Homebrew’s analytics. Display the source of formula. Remove stale lock files and outdated downloads for formulae and casks, and remove old versions of installed formulae. If arguments are specified, only do this for the specified formulae and casks. --prune: Remove all cache files older than specified days. -n, --dry-run: Show what would be removed, but do not actually remove anything. -s: Scrub the cache, including downloads for even the latest versions. Note downloads for any installed formula or cask will still not be deleted. If you want to delete those too: rm -rf "$(brew --cache)"
--prune-prefix: Only prune the symlinks and directories from the prefix and remove no other files. Display the path to the file which is used when invoking brew cmd. Show a list of built-in and external commands. --include-aliases: Include the aliases of internal commands. Show Homebrew and system configuration useful for debugging. If you file a bug report, you will likely be asked for this information if you do not provide it. Show dependencies for formula. Additional options specific to formula may be appended to the command. When given multiple formula arguments, show the intersection of dependencies for each formula. -n: Show dependencies in topological order. --1: Only show dependencies one level down, instead of recursing. --union: Show the union of dependencies for multiple formula, instead of the intersection. --full-name: List dependencies by their full name. --include-build: Include :build dependencies for formula. --include-optional: Include :optional dependencies for formula. --include-test: Include :test dependencies for formula (non-recursive). --skip-recommended: Skip :recommended dependencies for formula. --include-requirements: Include requirements in addition to dependencies for formula. --tree: Show dependencies as a tree. When given multiple formula arguments, show individual trees for each formula. --annotate: Mark any build, test, optional, or recommended dependencies as such in the output. --installed: List dependencies for formulae that are currently installed. If formula is specified, list only its dependencies that are currently installed. --all: List dependencies for all available formulae. --for-each: Switch into the mode used by the --all option, but only list dependencies for the specified formula, one formula per line. This is used for debugging the --installed/--all display mode. Display formula’s name and one-line description. Formula descriptions are cached; the cache is created on the first search, making that search slower than subsequent ones. -s, --search: Search both name and description for provided text. If text is flanked by slashes, it is interpreted as a regular expression. -n, --name: Search just the names for provided text. If text is flanked by slashes, it is interpreted as a regular expression. -d, --description: Search just the descriptions for provided text. If text is flanked by slashes, it is interpreted as a regular expression. Automatically determine the installation prefix for non-Homebrew software. Using the output from this command, you can install your own software into the Cellar and then link it into Homebrew’s prefix with brew link. --name: Explicitly set the provided name of the package being installed. --version: Explicitly set the provided version of the package being installed. Check your system for potential problems. Doctor exits with a non-zero status if any potential problems are found. Please note that these warnings are just used to help the Homebrew maintainers with debugging if you file an issue. If everything you use Homebrew for is working fine: please don’t worry or file an issue; just ignore this. --list-checks: List all audit methods. -D, --audit-debug: Enable debugging and profiling of audit methods. Download the source packages for the given formula. For tarballs, also print SHA-256 checksums. --HEAD: Fetch HEAD version instead of stable version. --devel: Fetch development version instead of stable version. --retry: Retry if a download fails or re-download if the checksum of a previously cached version no longer matches. --deps: Download dependencies for any listed formula. -s, --build-from-source: Download the source for rather than a bottle. --build-bottle: Download the source (for eventual bottling) rather than a bottle. --force-bottle: Download a bottle if it exists for the current or newest version of macOS, even if it would not be used during installation. Upload logs for a failed build of formula to a new Gist. formula is usually the name of the formula to install, but it can be specified in several different ways. If no logs are found, an error message is presented. --with-hostname: Include the hostname in the Gist. -n, --new-issue: Automatically create a new issue in the appropriate GitHub repository as well as creating the Gist. -p, --private: The Gist will be marked private and will not appear in listings but will be accessible with the link. Open formula’s homepage in a browser. If no formula is provided, open Homebrew’s own homepage in a browser. Display brief statistics for your Homebrew installation. If formula is specified, show summary of information about formula. --analytics: Display global Homebrew analytics data or, if specified, installation and build error data for formula (provided neither HOMEBREW_NO_ANALYTICS nor HOMEBREW_NO_GITHUB_API are set). --days: How many days of global analytics data to retrieve. The value for days must be 30, 90 or 365. The default is 30. --category: Which type of global analytics data to retrieve. The value for category must be install, install-on-request, cask-install, build-error or os-version. The default is install. --installed: Print JSON of formulae that are currently installed. --all: Print JSON of all available formulae. Unless HOMEBREW_NO_INSTALL_CLEANUP is set, brew cleanup will be run for the installed formulae or, every 30 days, for all formulae. --env: If std is passed, use the standard build environment instead of superenv.If super is passed, use superenv even if the formula specifies the standard build environment. --ignore-dependencies: An unsupported Homebrew development flag to skip installing any dependencies of any kind. If the dependencies are not already present, the formula will have issues. If you’re not developing Homebrew, consider adjusting your PATH rather than using this flag. --only-dependencies: Install the dependencies with specified options but do not install the specified formula. --cc: Attempt to compile using provided compiler. compiler should be the name of the compiler’s executable, for instance gcc-7 for GCC 7. In order to use LLVM’s clang, use llvm_clang. To specify the Apple-provided clang, use clang. This parameter will only accept compilers that are provided by Homebrew or bundled with macOS. Please do not file issues if you encounter errors while using this flag. -s, --build-from-source: Compile the specified formula from source even if a bottle is provided. Dependencies will still be installed from bottles if they are available. --force-bottle: Install from a bottle if it exists for the current or newest version of macOS, even if it would not normally be used for installation. --include-test: Install testing dependencies required to run brew test. --devel: If formula defines it, install the development version. --HEAD: If formula defines it, install the HEAD version, aka. master, trunk, unstable. --fetch-HEAD: Fetch the upstream repository to detect if the HEAD installation of the formula is outdated. Otherwise, the repository’s HEAD will be checked for updates when a new stable or development version has been released. --keep-tmp: Don’t delete the temporary files created during installation. --build-bottle: Prepare the formula for eventual bottling during installation. --bottle-arch: Optimise bottles for the given architecture rather than the oldest architecture supported by the version of macOS the bottles are built on. --display-times: Print install times for each formula at the end of the run. -i, --interactive: Download and patch formula, then open a shell. This allows the user to run ./configure --help and otherwise determine how to turn the software package into a Homebrew package. 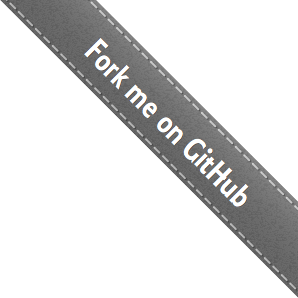 -g, --git: Create a Git repository, useful for creating patches to the software. Symlink all of formula’s installed files into the Homebrew prefix. This is done automatically when you install formulae but can be useful for DIY installations. --overwrite: Delete files already existing in the prefix while linking. -n, --dry-run: List all files which would be linked or deleted by brew link --overwrite, but will not actually link or delete any files. --full-name: Print formulae with fully-qualified names. If --full-name is not passed, other options (i.e. -1, -l, -t and -r) are passed to ls which produces the actual output. --unbrewed: List all files in the Homebrew prefix not installed by Homebrew. --versions: Show the version number for installed formulae, or only the specified formulae if formula are given. --multiple: Only show formulae with multiple versions installed. --pinned: Show the versions of pinned formulae, or only the specified (pinned) formulae if formula are given. See also pin, unpin. -1: Force output to be one entry per line. This is the default when output is not to a terminal. -l: List in long format. If the output is to a terminal, a total sum for all the file sizes is output on a line before the long listing. -r: Reverse the order of the sort to get the oldest entries first. -t: Sort by time modified (most recently modified first). Show the git log for the given formula. -p, --patch: Also output patch from commit. --stat: Also output diffstat from commit. --oneline: Output only one line per commit. -1, --max-count: Output only one commit. Migrate renamed packages to new name, where formula are old names of packages. Check the given formula for missing dependencies. If no formula are given, check all installed brews. missing exits with a non-zero status if any formulae are missing dependencies. --hide: Act as if none of the provided hidden are installed. hidden should be comma-separated list of formulae. --compact: Show all options on a single line separated by spaces. --all: Show options for all formulae. --installed: Show options for all installed formulae. Show formulae that have an updated version available. By default, version information is displayed in interactive shells, and suppressed otherwise. Pin the specified formula, preventing them from being upgraded when issuing the brew upgrade formula command. See also unpin. Rerun the post-install steps for formula. Import all formulae from specified tap (defaults to all installed taps). This can be useful for debugging issues across all formulae when making significant changes to formula.rb, testing the performance of loading all formulae or to determine if any current formulae have Ruby issues. --aliases: Verify any alias symlinks in each tap. --syntax: Syntax-check all of Homebrew’s Ruby files. Uninstall and then install formula (with existing and any appended install options). Unless HOMEBREW_NO_INSTALL_CLEANUP is set, brew cleanup will be run for the reinstalled formulae or, every 30 days, for all formulae. -s, --build-from-source: Compile formula from source even if a bottle is available. Perform a substring search of cask tokens and formula names for text. If text is surrounded with slashes, then it is interpreted as a regular expression. The search for text is extended online to homebrew/core and homebrew/cask. If no text is passed, display all locally available formulae (including tapped ones). No online search is performed. --casks: Display all locally available casks (including tapped ones). No online search is performed. --desc: search formulae with a description matching text and casks with a name matching text. --macports: Search for text in the given package manager’s list. --fink: Search for text in the given package manager’s list. --opensuse: Search for text in the given package manager’s list. --fedora: Search for text in the given package manager’s list. --debian: Search for text in the given package manager’s list. --ubuntu: Search for text in the given package manager’s list. Start a Homebrew build environment shell. Uses our years-battle-hardened Homebrew build logic to help your ./configure && make && make install or even your gem install succeed. Especially handy if you run Homebrew in an Xcode-only configuration since it adds tools like make to your PATH which otherwise build systems would not find. Prints export statements - run them in a shell and this installation of Homebrew will be included into your PATH, MANPATH and INFOPATH. HOMEBREW_PREFIX, HOMEBREW_CELLAR and HOMEBREW_REPOSITORY are also exported to save multiple queries of those variables. Check formulae or files for conformance to Homebrew style guidelines. Lists of file, tap and formula may not be combined. If none are provided, style will run style checks on the whole Homebrew library, including core code and all formulae. --fix: Fix style violations automatically using RuboCop’s auto-correct feature. --display-cop-names: Include the RuboCop cop name for each violation in the output. --only-cops: Specify a comma-separated cops list to check for violations of only the listed RuboCop cops. --except-cops: Specify a comma-separated cops list to skip checking for violations of the listed RuboCop cops. Symlink all of the specific version of formula’s install to Homebrew prefix. List all installed taps when no arguments are passed. With URL unspecified, taps a formula repository from GitHub using HTTPS. Since so many taps are hosted on GitHub, this command is a shortcut for brew tap user/repo https://github.com/user/homebrew-repo. With URL specified, taps a formula repository from anywhere, using any transport protocol that git handles. The one-argument form of tap simplifies but also limits. This two-argument command makes no assumptions, so taps can be cloned from places other than GitHub and using protocols other than HTTPS, e.g., SSH, GIT, HTTP, FTP(S), RSYNC. --full: Use a full clone when tapping a repository. By default, the repository is cloned as a shallow copy (--depth=1). To convert a shallow copy to a full copy, you can retap passing --full without first untapping. --force-auto-update: Auto-update tap even if it is not hosted on GitHub. By default, only taps hosted on GitHub are auto-updated (for performance reasons). --repair: Migrate tapped formulae from symlink-based to directory-based structure. --list-pinned: List all pinned taps. -q, --quieter: Suppress any warnings. Display detailed information about one or more provided tap. Display a brief summary of all installed taps if no tap are passed. --installed: Display information on all installed taps. --ignore-dependencies: Don’t fail uninstall, even if formula is a dependency of any installed formulae. -n, --dry-run: List all files which would be unlinked, but will not actually unlink or delete any files. Unpack the source files for formula into subdirectories of the current working directory. --destdir: Create subdirectories in the directory named by path instead. --patch: Patches for formula will be applied to the unpacked source. -g, --git: Initialise a Git repository in the unpacked source. This is useful for creating patches for the software. Unpin formula, allowing them to be upgraded by brew upgrade formula. See also pin. Fetch the newest version of Homebrew and all formulae from GitHub using git(1) and perform any necessary migrations. --merge: git merge is used to include updates (rather than git rebase). Fetches and resets Homebrew and all tap repositories (or any specified repository) using git(1) to their latest origin/master. Note this will destroy all your uncommitted or committed changes. Upgrade outdated, unpinned formulae (with existing and any appended brew formula options). If formula are given, upgrade only the specified brews (unless they are pinned; see pin, unpin). Unless HOMEBREW_NO_INSTALL_CLEANUP is set, brew cleanup will be run for the upgraded formulae or, every 30 days, for all formulae. --ignore-pinned: Set a 0 exit code even if pinned formulae are not upgraded. Show the formulae that specify formula as a dependency. When given multiple formula arguments, show the intersection of formulae that use formula. By default, uses shows all formulae that specify formula as a required or recommended dependency. By default, uses shows usage of formula by stable builds. --recursive: Resolve more than one level of dependencies. --installed: Only list installed formulae. --include-build: Include all formulae that specify formula as :build type dependency. --include-test: Include all formulae that specify formula as :test type dependency. --include-optional: Include all formulae that specify formula as :optional type dependency. --skip-recommended: Skip all formulae that specify formula as :recommended type dependency. --devel: Show usage of formula by development build. --HEAD: Show usage of formula by HEAD build. Display Homebrew’s download cache. See also HOMEBREW_CACHE. If formula is provided, display the file or directory used to cache formula. -s, --build-from-source: Show the cache file used when building from source. --force-bottle: Show the cache file used when pouring a bottle. Display Homebrew’s Cellar path. Default: $(brew --prefix)/Cellar, or if that directory doesn’t exist, $(brew --repository)/Cellar. If formula is provided, display the location in the cellar where formula would be installed, without any sort of versioned directory as the last path. Show a summary of the Homebrew build environment as a plain list. If the command’s output is sent through a pipe and no shell is specified, the list is formatted for export to bash(1) unless --plain is passed. --shell: Generate a list of environment variables for the specified shell, or --shell=auto to detect the current shell. --plain: Plain output even when piped. Display Homebrew’s install path. Default: /usr/local on macOS and /home/linuxbrew/.linuxbrew on Linux. If formula is provided, display the location in the cellar where formula is or would be installed. Print the version number of Homebrew, Homebrew/homebrew-core and Homebrew/homebrew-cask (if tapped) to standard output and exit. Check formula for Homebrew coding style violations. This should be run before submitting a new formula. Will exit with a non-zero status if any errors are found, which can be useful for implementing pre-commit hooks. If no formula are provided, all of them are checked. --strict: Run additional style checks, including RuboCop style checks. --online: Run additional slower style checks that require a network connection. --new-formula: Run various additional style checks to determine if a new formula is eligible for Homebrew. This should be used when creating new formula and implies --strict and --online. --display-filename: Prefix every line of output with name of the file or formula being audited, to make output easy to grep. --only: Specify a comma-separated method list to only run the methods named audit_method. --except: Specify a comma-separated method list to skip running the methods named audit_method. Generate a bottle (binary package) from a formula that was installed with --build-bottle. If the formula specifies a rebuild version, it will be incremented in the generated DSL. Passing --keep-old will attempt to keep it at its original value, while --no-rebuild will remove it. --skip-relocation: Do not check if the bottle can be marked as relocatable. --or-later: Append _or_later to the bottle tag. --force-core-tap: Build a bottle even if formula is not in homebrew/core or any installed taps. --no-rebuild: If the formula specifies a rebuild version, remove it from the generated DSL. --keep-old: If the formula specifies a rebuild version, attempt to preserve its value in the generated DSL. --json: Write bottle information to a JSON file, which can be used as the argument for --merge. --merge: Generate an updated bottle block for a formula and optionally merge it into the formula file. Instead of a formula name, requires a JSON file generated with brew bottle --json formula. --write: Write the changes to the formula file. A new commit will be generated unless --no-commit is passed. --no-commit: When passed with --write, a new commit will not generated after writing changes to the formula file. --root-url: Use the specified URL as the root of the bottle’s URL instead of Homebrew’s default. Create a pull request to update a formula with a new URL or a new tag. If a URL is specified, the SHA-256 checksum of the new download should also be specified. A best effort to determine the SHA-256 and formula name will be made if either or both values are not supplied by the user. If a tag is specified, the Git commit revision corresponding to that tag must also be specified. Note: this command cannot be used to transition a formula from a URL-and-SHA-256 style specification into a tag-and-revision style specification, nor vice versa. It must use whichever style specification the preexisting formula already uses. --devel: Bump the development rather than stable version. The development spec must already exist. -n, --dry-run: Print what would be done rather than doing it. --write: When passed along with --dry-run, perform a not-so-dry run by making the expected file modifications but not taking any Git actions. --no-audit: Don’t run brew audit before opening the PR. --strict: Run brew audit --strict before opening the PR. --no-browse: Print the pull request URL instead of opening in a browser. --mirror: Use the provided URL as a mirror URL. --version: Use the provided version to override the value parsed from the URL or tag. Note that --version=0 can be used to delete an existing version override from a formula if it has become redundant. --message: Append the provided message to the default PR message. --url: Specify the URL for the new download. If a URL is specified, the SHA-256 checksum of the new download should also be specified. --sha256: Specify the SHA-256 checksum of the new download. --tag: Specify the new git commit tag for the formula. --revision: Specify the new git commit revision corresponding to a specified tag. --autotools: Create a basic template for an Autotools-style build. --cmake: Create a basic template for a CMake-style build. --meson: Create a basic template for a Meson-style build. --no-fetch: Homebrew will not download URL to the cache and will thus not add the SHA-256 to the formula for you, nor will it check the GitHub API for GitHub projects (to fill out its description and homepage). --HEAD: Indicate that URL points to the package’s repository rather than a file. --set-name: Set the name of the new formula to the provided name. --set-version: Set the version of the new formula to the provided version. --tap: Generate the new formula in the provided tap, specified as user/repo. Open a formula in the editor set by EDITOR or HOMEBREW_EDITOR, or open the Homebrew repository for editing if no formula is provided. Look through repository history to find the most recent version of formula and create a copy in tap/Formula/formula@version.rb. If the tap is not installed yet, attempt to install/clone the tap before continuing. To extract a formula from a tap that is not homebrew/core use user/repo/formula. --version: Extract the provided version of formula instead of the most recent. Display the path where a formula is located. Enter the interactive Homebrew Ruby shell. --pry: Use Pry instead of IRB. Implied if HOMEBREW_PRY is set. Check the library links for kegs of installed formulae. Raises an error if run on uninstalled formulae. --test: Display only missing libraries and exit with a non-zero status if any missing libraries are found. --reverse: For every library that a keg references, print its dylib path followed by the binaries that link to it. --cached: Print the cached linkage values stored in HOMEBREW_CACHE, set by a previous brew linkage run. --fail-if-changed: Return a failing status code if changes are detected in the manpage outputs. This can be used for CI to be notified when the manpages are out of date. Additionally, the date used in new manpages will match those in the existing manpages (to allow comparison without factoring in the date). --link: This is now done automatically by brew update. Run Homebrew with the Ruby profiler e.g. brew prof readall. Get a patch from a GitHub commit or pull request and apply it to Homebrew. Optionally, publish updated bottles for the formulae changed by the patch. Each patch may be the number of a PR in homebrew/core, the URL of a PR on GitHub, the URL of a commit on GitHub or a “https://jenkins.brew.sh/job/…” testing job URL. --bottle: Handle bottles, pulling the bottle-update commit and publishing files on Bintray. --bump: For one-formula PRs, automatically reword commit message to our preferred format. --clean: Do not rewrite or otherwise modify the commits found in the pulled PR. --ignore-whitespace: Silently ignore whitespace discrepancies when applying diffs. --resolve: When a patch fails to apply, leave in progress and allow user to resolve, instead of aborting. --branch-okay: Do not warn if pulling to a branch besides master (useful for testing). --no-pbcopy: Do not copy anything to the system clipboard. --no-publish: Do not publish bottles to Bintray. --warn-on-publish-failure: Do not exit if there’s a failure publishing bottles on Bintray. --bintray-org: Publish bottles at the provided Bintray organisation. --test-bot-user: Pull the bottle block commit from the provided user on GitHub. Print the merged pull requests on Homebrew/brew between two Git refs. If no previous_tag is provided it defaults to the latest tag. If no end_ref is provided it defaults to origin/master. --markdown: Print as a Markdown list. -e: Execute the provided string argument as a script. Generate the template files for a new tap. Run the test method provided by an installed formula. There is no standard output or return code, but generally it should notify the user if something is wrong with the installed formula. --devel: Test the development version of a formula. --HEAD: Test the head version of a formula. --keep-tmp: Keep the temporary files created for the test. Run Homebrew’s unit and integration tests. --coverage: Generate code coverage reports. --generic: Run only OS-agnostic tests. --no-compat: Do not load the compatibility layer when running tests. --online: Include tests that use the GitHub API and tests that use any of the taps for official external commands. --only: Run only test_script_spec.rb. Appending :line_number will start at a specific line. --seed: Randomise tests with the provided value instead of a random seed. Run a test of brew update with a new repository clone. If no arguments are passed, use origin/master as the start commit. --to-tag: Set HOMEBREW_UPDATE_TO_TAG to test updating between tags. --keep-tmp: Retain the temporary directory containing the new repository clone. --commit: Use provided commit as the start commit. --before: Use the commit at provided date as the start commit. Install and commit Homebrew’s vendored gems. These options are applicable across all sub-commands. -q, --quiet: Suppress any warnings. -v, --verbose: Make some output more verbose. -d, --debug: Display any debugging information. -f, --force: Override warnings and enable potentially unsafe operations. Bundler for non-Ruby dependencies from Homebrew, Homebrew Cask and the Mac App Store. See brew bundle --help. Install macOS applications distributed as binaries. See brew-cask(1). Manage background services with macOS’ launchctl(1) daemon manager. See brew services --help. Homebrew, like git(1), supports external commands. These are executable scripts that reside somewhere in the PATH, named brew-cmdname or brew-cmdname.rb, which can be invoked like brew cmdname. This allows you to create your own commands without modifying Homebrew’s internals. The name of a formula: e.g. git, node, wget. The fully-qualified name of a tapped formula: Sometimes a formula from a tapped repository may conflict with one in homebrew/core. You can still access these formulae by using a special syntax, e.g. homebrew/dupes/vim or homebrew/versions/node4. An arbitrary file or URL: Homebrew can install formulae via URL, e.g. https://raw.githubusercontent.com/Homebrew/homebrew-core/master/Formula/git.rb, or from a local path. It could point to either a formula file or a bottle. In the case of a URL, the downloaded file will be cached for later use. Note that environment variables must have a value set to be detected. For example, export HOMEBREW_NO_INSECURE_REDIRECT=1 rather than just export HOMEBREW_NO_INSECURE_REDIRECT. HOMEBREW_ARTIFACT_DOMAIN: If set, instructs Homebrew to prefix all download URLs, including those for bottles, with this variable. For example, HOMEBREW_ARTIFACT_DOMAIN=http://localhost:8080 will cause a formula with the URL https://example.com/foo.tar.gz to instead download from http://localhost:8080/example.com/foo.tar.gz. HOMEBREW_AUTO_UPDATE_SECS: If set, Homebrew will only check for autoupdates once per this seconds interval. HOMEBREW_AWS_ACCESS_KEY_ID, HOMEBREW_AWS_SECRET_ACCESS_KEY: When using the S3 download strategy, Homebrew will look in these variables for access credentials (see https://docs.aws.amazon.com/cli/latest/userguide/cli-chap-getting-started.html#cli-environment to retrieve these access credentials from AWS). If they are not set, the S3 download strategy will download with a public (unsigned) URL. HOMEBREW_BOTTLE_DOMAIN: By default, Homebrew uses https://homebrew.bintray.com/ as its download mirror for bottles. If set, instructs Homebrew to instead use the specified URL. For example, HOMEBREW_BOTTLE_DOMAIN=http://localhost:8080 will cause all bottles to download from the prefix http://localhost:8080/. HOMEBREW_BROWSER: If set, Homebrew uses this setting as the browser when opening project homepages, instead of the OS default browser. HOMEBREW_CACHE: If set, instructs Homebrew to use the specified directory as the download cache. HOMEBREW_CURLRC: If set, Homebrew will not pass -q when invoking curl(1) (which disables the use of curlrc). HOMEBREW_CURL_VERBOSE: If set, Homebrew will pass --verbose when invoking curl(1). HOMEBREW_DEBUG: If set, any commands that can emit debugging information will do so. HOMEBREW_DEVELOPER: If set, Homebrew will tweak behaviour to be more relevant for Homebrew developers (active or budding), e.g. turning warnings into errors. HOMEBREW_DISPLAY: If set, Homebrew will use this X11 display when opening a page in a browser, for example with brew home. Primarily useful on Linux. Default: the value of the user’s DISPLAY environment variable. HOMEBREW_EDITOR: If set, Homebrew will use this editor when editing a single formula, or several formulae in the same directory. Note: brew edit will open all of Homebrew as discontinuous files and directories. TextMate can handle this correctly in project mode, but many editors will do strange things in this case. HOMEBREW_FORCE_BREWED_CURL: If set, Homebrew will always use a Homebrew-installed curl rather than the system version. Automatically set if the system version of curl is too old. HOMEBREW_FORCE_VENDOR_RUBY: If set, Homebrew will always use its vendored, relocatable Ruby version even if the system version of Ruby is new enough. HOMEBREW_FORCE_BREWED_GIT: If set, Homebrew will always use a Homebrew-installed git rather than the system version. Automatically set if the system version of git is too old. Note: Homebrew doesn’t require permissions for any of the scopes. HOMEBREW_INSTALL_BADGE: Text printed before the installation summary of each successful build. HOMEBREW_LOGS: If set, Homebrew will use the specified directory to store log files. HOMEBREW_MAKE_JOBS: If set, instructs Homebrew to use the value of HOMEBREW_MAKE_JOBS as the number of parallel jobs to run when building with make(1). Default: the number of available CPU cores. HOMEBREW_NO_AUTO_UPDATE: If set, Homebrew will not auto-update before running brew install, brew upgrade or brew tap. HOMEBREW_NO_BOTTLE_SOURCE_FALLBACK: If set, Homebrew will fail on the failure of installation from a bottle rather than falling back to building from source. HOMEBREW_NO_COLOR: If set, Homebrew will not print text with colour added. HOMEBREW_NO_EMOJI: If set, Homebrew will not print the HOMEBREW_INSTALL_BADGE on a successful build. Note: Homebrew will only try to print emoji on OS X Lion or newer. HOMEBREW_NO_INSECURE_REDIRECT: If set, Homebrew will not permit redirects from secure HTTPS to insecure HTTP. While ensuring your downloads are fully secure, this is likely to cause from-source SourceForge, some GNU & GNOME based formulae to fail to download. HOMEBREW_NO_GITHUB_API: If set, Homebrew will not use the GitHub API, e.g. for searches or fetching relevant issues on a failed install. HOMEBREW_NO_INSTALL_CLEANUP: If set, brew install, brew upgrade and brew reinstall will never automatically cleanup the installed/upgraded/reinstalled formulae or all formulae every 30 days. HOMEBREW_PRY: If set, Homebrew will use Pry for the brew irb command. HOMEBREW_SVN: When exporting from Subversion, Homebrew will use HOMEBREW_SVN if set, a Homebrew-built Subversion if installed, or the system-provided binary. Set this to force Homebrew to use a particular svn binary. HOMEBREW_TEMP: If set, instructs Homebrew to use HOMEBREW_TEMP as the temporary directory for building packages. This may be needed if your system temp directory and Homebrew prefix are on different volumes, as macOS has trouble moving symlinks across volumes when the target does not yet exist. This issue typically occurs when using FileVault or custom SSD configurations. HOMEBREW_UPDATE_TO_TAG: If set, instructs Homebrew to always use the latest stable tag (even if developer commands have been run). HOMEBREW_VERBOSE: If set, Homebrew always assumes --verbose when running commands. http_proxy: Sets the HTTP proxy to be used by curl, git and svn when downloading through Homebrew. https_proxy: Sets the HTTPS proxy to be used by curl, git and svn when downloading through Homebrew. all_proxy: Sets the SOCKS5 proxy to be used by curl, git and svn when downloading through Homebrew. ftp_proxy: Sets the FTP proxy to be used by curl, git and svn when downloading through Homebrew. no_proxy: Sets the comma-separated list of hostnames and domain names that should be excluded from proxying by curl, git and svn when downloading through Homebrew. Set the http_proxy, https_proxy, all_proxy, ftp_proxy and/or no_proxy environment variables documented above. Homebrew’s Project Leader is Mike McQuaid. Homebrew’s Project Leadership Committee is Misty De Meo, Shaun Jackman, Jonathan Chang, Mike McQuaid and Markus Reiter. Homebrew’s Technical Steering Committee is Michka Popoff, FX Coudert, Markus Reiter, Misty De Meo and Mike McQuaid. Homebrew/brew’s Linux maintainers are Michka Popoff and Shaun Jackman. Homebrew’s other current maintainers are Claudia Pellegrino, Chongyu Zhu, Vitor Galvao, Gautham Goli, Steven Peters, William Woodruff, Igor Kapkov, Izaak Beekman, Sean Molenaar, Jan Viljanen, Jason Tedor, Eric Knibbe, Viktor Szakats, Thierry Moisan, Steven Peters and Tom Schoonjans. Former maintainers with significant contributions include JCount, commitay, Dominyk Tiller, Tim Smith, Baptiste Fontaine, Xu Cheng, Martin Afanasjew, Brett Koonce, Charlie Sharpsteen, Jack Nagel, Adam Vandenberg, Andrew Janke, Alex Dunn, neutric, Tomasz Pajor, Uladzislau Shablinski, Alyssa Ross, ilovezfs and Homebrew’s creator: Max Howell.